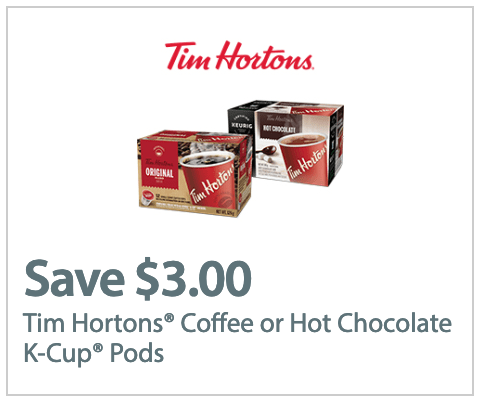 Walmart Canada Coupons: Save $3.00 off Tim Hortons Coffee or Hot Chocolate k-Cup Pods. Walmart Canada coupon portal has a new coupon available now, that includes: Save $3.00 off Tim Hortons Coffee or Hot Chocolate k-Cup Pods. Limit one coupon per person, while supplies last. What was the Nature Valley coupon? Definitely missed that one!